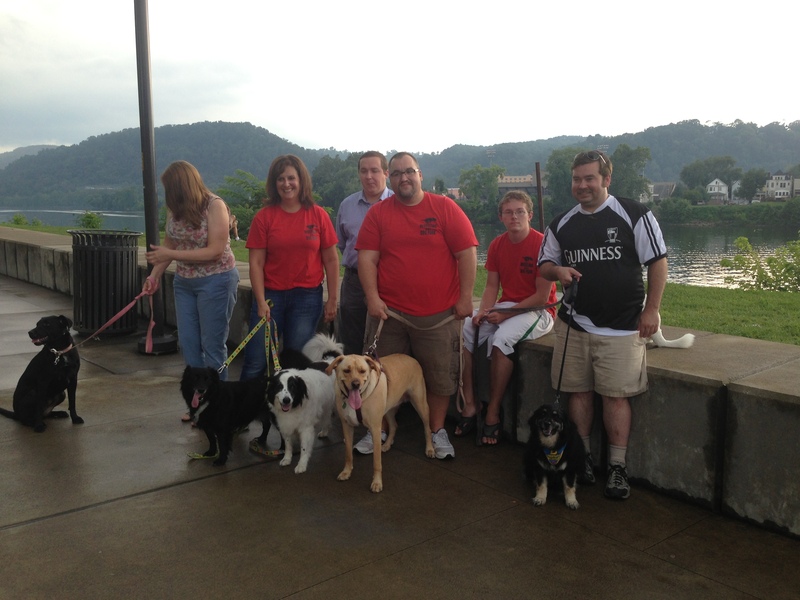 Wheeling Dog Park Association « Help us build it! In the spirit of giving this holiday season, Ohio Valley dogs and their owners will receive a special gift. Thanks to the generosity of The Fitzsimmons Foundation, the area’s first dog park is one giant step closer to reality. The foundation has awarded the association $25,000 towards the park’s construction. In recognition of their generosity, the park will be named the Fitzsimmons Family Dog Park, a PetSafe Park, and that name will grace the signage at the park’s entrance. The Fitzsimmons Foundation was established in 2007 as a conduit for the Fitzsimmons family to strengthen and enhance the community. The foundation has donated nearly a million dollars to local organizations in the past 8 years. “I come from a family of animal lovers. 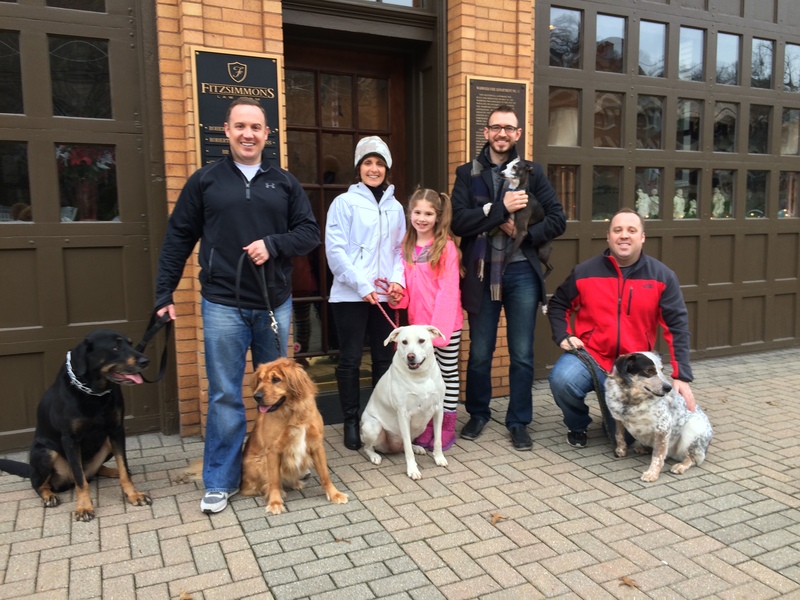 In my immediate family, we all have dogs which we adopted from local shelters,” noted Fitzsimmons who has two animals himself, both from the Ohio County Animal Shelter. Boury further noted that the association plans to open the park late spring or early summer 2016 depending on what conditions this winter brings. The association is currently working with city officials to finalize dog park rules, infrastructure and a request for proposals for the remaining construction. Last spring the association kickedoff its 2015 fundraising campaign. To date, the association has raised more than $60,000 in additional funds towards the park’s construction, including the $25,000 won during the PetSafe dog park contest, $10,000 from the Ohio County Commission and several other grants and donations. Announcement of additional grants and foundation awards is forthcoming. Full development of the park includes excavation, fencing, landscaping and amenities such as benches, signage, and waste and water stations. Given the abundant size of the park, fencing accounts for 44 percent of overall costs. The dog park will be divided into two sections, 1.35 acres for a larger dog (above 30 lbs.) 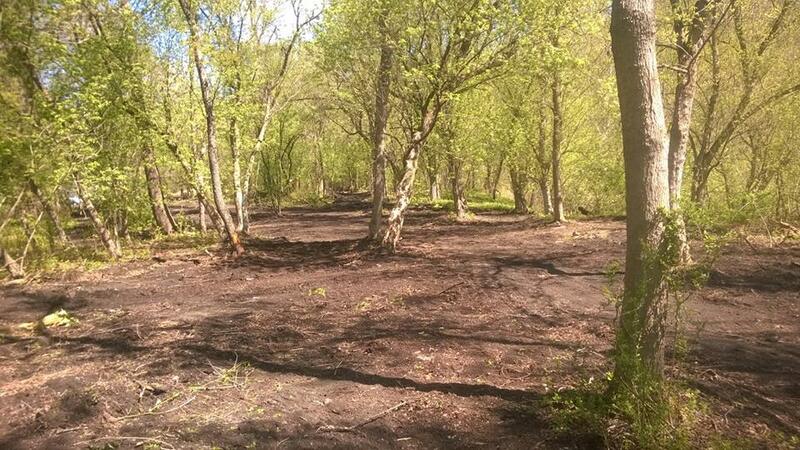 section and .65 acres for small dogs (under 30 lbs.). Each section will have a crush-and-run walking trail and its own water and waste stations. Local engineer Mike Kerns has donated time drawing out the development plans. The Valley’s first dog park will be located at the Tunnel Green Recreation Complex, an established city recreational area that offers sites for recreational baseball and roller hockey. 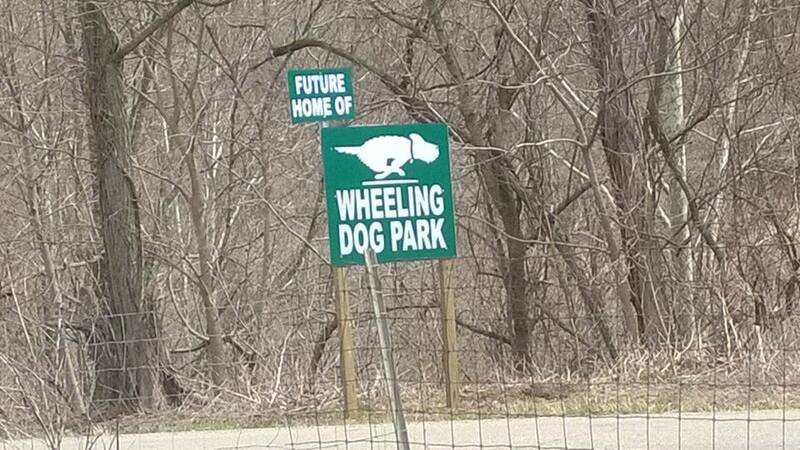 The dog park will be developed on the wooded lot south of the existing ball field and roller hockey rink and will become part of the City of Wheeling’s park system. The site has vehicular access from 18th Street and pedestrian access from the trail, along with adequate parking. The Community Foundation of the Ohio Valley serves as fiscal sponsor for the Wheeling Dog Park Association and is processing all donation requests. 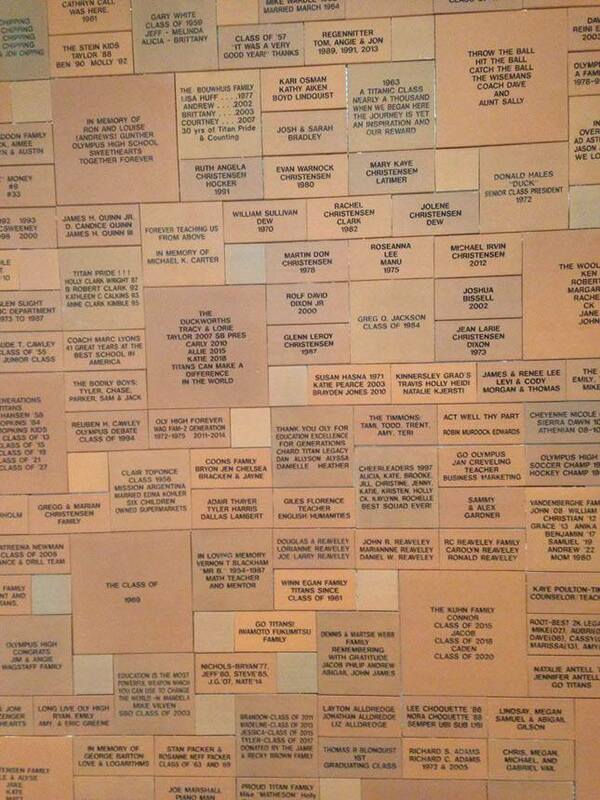 Donors giving at various levels will be acknowledged on recognition panels at the dog park’s entrance or through brick pavers or benches depending on the amount given. UPDATE: We will be meeting at the Walter Reuther Statue outside of Wesbanco Arena, close to the trail. A huge thanks to Trek the Trail for organizing this event! Trek the Trail invites you to bring your furry friends for some fun and fitness on Thursday, July 23rd at 6pm! A walk from Wheeling Heritage Port to the soon-to-be-opened Wheeling Dog Park @ Tunnel Green. Prizes will be raffled off at the end of the walk. Amazing Raise is Happening Now: Please Donate Today!! The Amazing Raise is here!! Together we can build this park! Donations start at $10, and each one gets us that much closer to having the valley’s first dog park. The more donated, the better chance we have of winning bonus funds towards our park!! Starting at midnight, May 5th, we will be participating in the Amazing Raise along with other non-profits throughout the Ohio Valley. Minimum donation is $10 and during the one day of giving, we will be competing for bonus funding. So, your donation can potentially earn us more money! 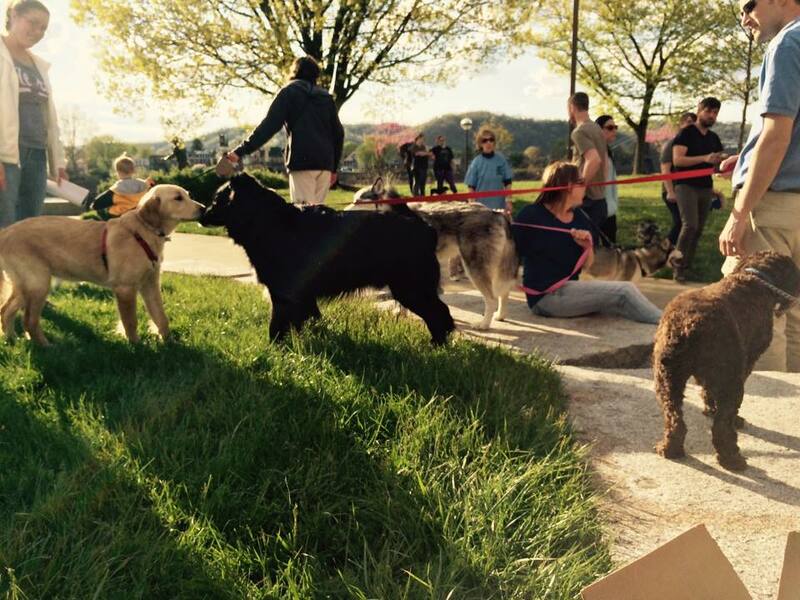 One day – May 5th from 12 a.m. -11:59 p.m.
Join us tomorrow, May 1st at 6 p.m. outside of WesBanco Arena for our first dog walk of 2015. 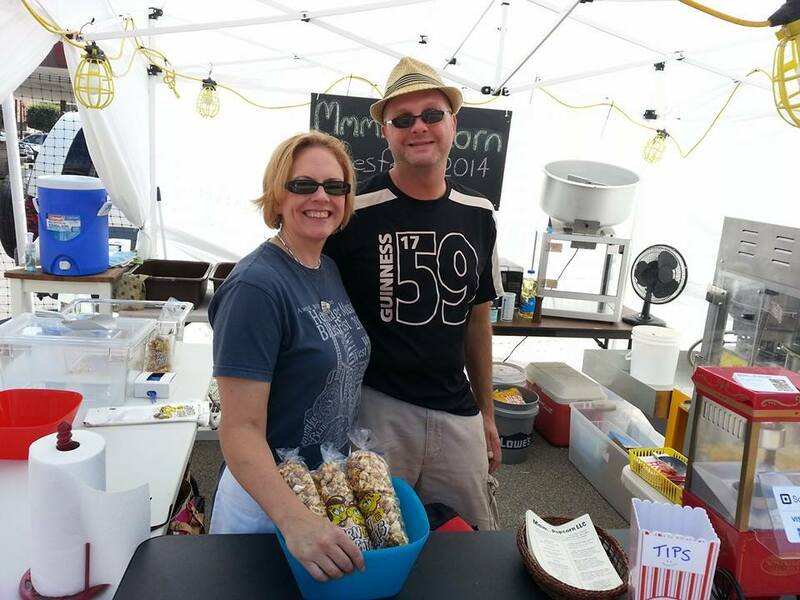 As a special treat, MmmPopcorn is working on a dog park themed flavor to have on had at the event. So excited to see what their creative minds come up with!! Join us this Friday as we hold our First Group Dog Walk of the Summer. We will be meeting outside of WesBanco Arena at 6:00 pm on May 1st and will take a walk along the trail. There will be ice cream for sale and water will be available. Plus treats for your pets!! Bring your best friend and the family and meet some other dog lovers in the valley. It looks to be a beautiful day!